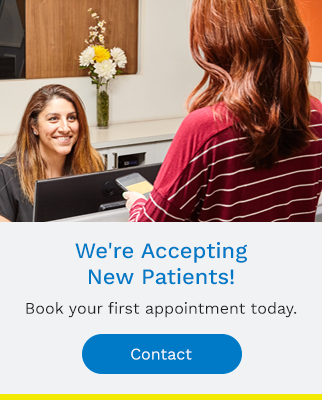 At Granville Station Dental, our Vancouver dentists are always updating our skills and technology to give you the most effective, efficient, safe, and comfortable dental experience. Digital X-Rays deliver immediate digital diagnostic images so that we can show you what we see, and explain your condition and treatment options chair-side in real time. The DIAGNOdent diagnostic system is a pen-sized laser device that facilitates detection of the initial pit lesions that eventually become cavities. Correcting dental cavities at the early pitting stage requires less intervention and thus maximizes structural integrity when we treat the cavities. Invisalign® is the next wave of smile design, making metal braces a thing of the past for many clients. Our dentists use computerized technology to custom design and fabricate a series of low profile, removable, clear plastic aligner trays that fit over your teeth like ultralight mouth guards. Each tray is worn for a 2 week period, and through time the series of trays progressively moves your teeth into their ideal position. Invisalign® is a modern and comfortable way to overcome gaps in teeth, overbite or underbite, or crowding. Oral Cancer can be a potentially deadly type of cancer but if detected early, the survival rate for patients with oral cancer is 83%. Late detection of oral cancer, however, gives patients only a 32% chance of survival. Contact our team today for information on Granville Station Dental and the technology services we offer to our patients.